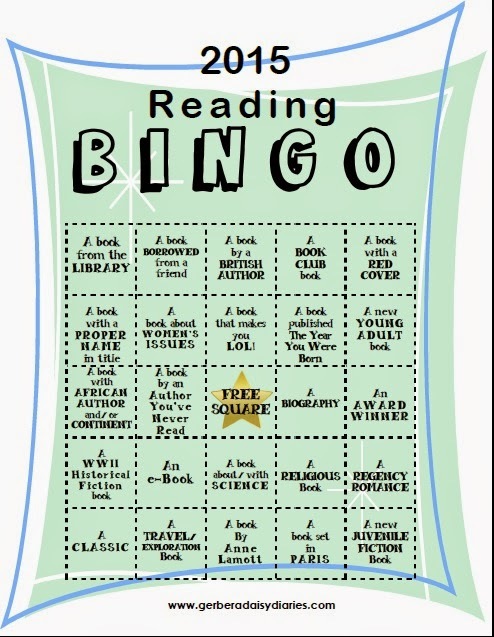 Gerbera Daisy Diaries: 2015 Reading Bingo! Last year my kids and I tracked much of our reading on a bingo card created by RetreatbyRandomHouse.ca -- it was a lot of fun for all of us and I was eagerly anticipating this year's edition! However, their current bingo card includes numerous Canadian-type books, for obvious reasons, so most of their options I can't access at our local library, so I created my own! This is the card I will be following this year! I hope you will join me!